Fraser Valley/Burnaby – A visitor to the DriveSmartBC site has asked the following: “I have seen a few trucks driving around residential areas that are really polluting. I wanted to report them somewhere with the hope of them getting a notice or something to hopefully look after this issue. I cannot find a phone number or an email where this can be done. Do you know how can I report this truck?” It’s a great question as vehicles like this affect the air that you and I breathe. We should have some method to deal with problem vehicles that we encounter in our day to day life. The primary responsibility for enforcement in situations like this one falls to the police and Commercial Vehicle Safety and Enforcement (CVSE). The RCMP seems to discourage any reporting by e-mail but will accept reports by telephone and in person. CVSE appears to accept complaints by e-mail and telephone only. With the municipal police forces, you may be able to use all three methods of contact. If you intend to complain to police, contact the department having jurisdiction for the area where you make your observations. One would expect that the Ministry of the Environment would have a stake in this too. Their web site does mention reporting violators of environmental laws but a call to their report line directed me to visit the BC Air Quality web site, which in turn pointed me right back to the reporting line that I had called. Regardless, the person I spoke with advised me that the Ministry of the Environment did not accept complaints about excessive vehicle exhaust. On the bright side, there is a carrot to go with the stick. The Scrap It Program provides incentives to purchase a 2008 or newer vehicle to replace an older vehicle. In fact, if simply scrap an older vehicle you can receive credits on bicycles, transit passes, or car sharing programs. If none of these are interesting, you can receive $200 cash instead. The author is a retired constable with many years for traffic law enforcement experience. To comment or learn more, please visit drivesmartbc.ca. 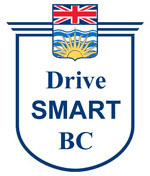 Be the first to comment on "DriveSmart BC – Reporting Vehicle Air Polluters"